This music compilation contains 6 cd’s with 116 tracks. Enjoy! This is an item unique to Japan – a complete concert video! And, while it may look the same as the album Live in Japan, it is not the same concert, although it was filmed during the same concert tour. The reason it was not released worldwide is that there are Japanese subtitles on the screen throughout the concert. The master tape of the concert without the subtitles apparantly no longer exists, so they had to use this broadcast master as the source video. 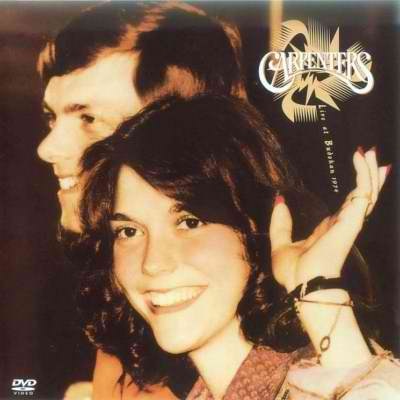 This is an extremely important document in the history of the Carpenters’ career, so it is well worth seeking out! Pretty good audio for its time – and the video is excellent. LINKS RE-UPLOADED AGAIN. THANK YOU. Built in 1964, Shea Stadium was the home of the New York Mets for 45 years. Designed as a multi-purpose stadium, Shea first met rock n roll when The Beatles appeared there August 15, 1965, establishing Shea as the premier stadium for the worlds greatest bands. The Who, The Police, The Rolling Stones, Bruce Springsteen and The Clash all played Shea.